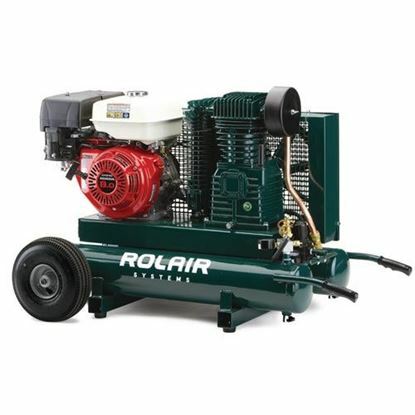 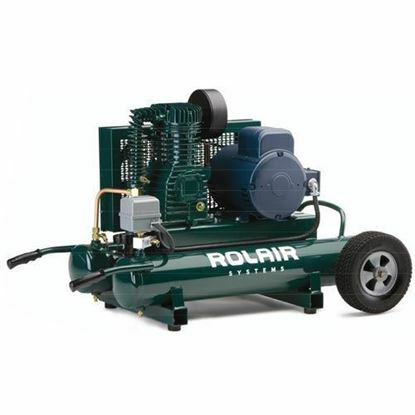 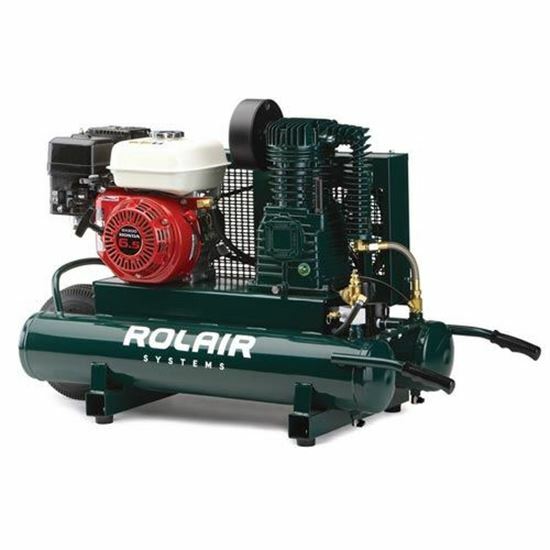 This popular RolAir air compressor features a 9 gallon tank capacity mounted in a wheelbarrow style for ultimate portability. The engine is a 6.5HP Honda 4 Cycle, with complete die cast aluminum alloy with a cast iron sleeve, overhead valves, and a low-oil shutdown. 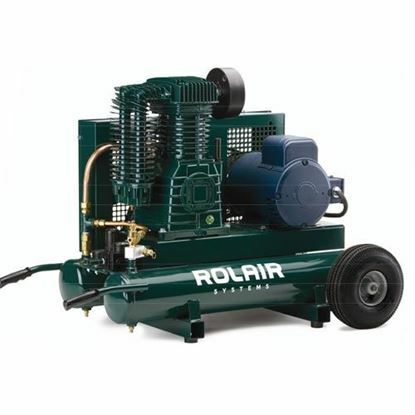 The pump is a single stage splash lubricated compressor pump with cast iron valve plates. 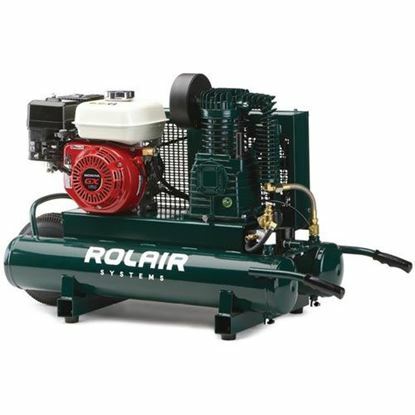 This compressor comes standard with an industrial style flexible discharge hose, automatic idle control, an intake filter with a silencer, an air-cooled aftercooler, and a totally enclosed belt guard with a safety relief valve.